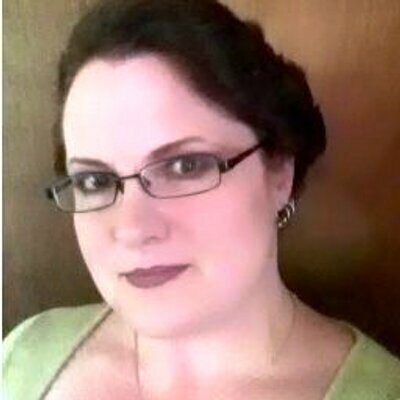 Christina K. (Jess) Hartley is an American game designer, novelist, writer, and editor. 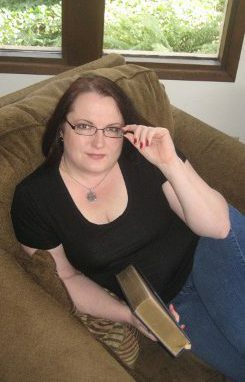 Hartley has been an author of, and contributing writer to, nearly forty role-playing games from White Wolf Publishing/CCP North America, and Margaret Weis Productions, like Predators (Werewolf: The Forsaken) (2005), Skinchangers (World of Darkness) (2006), Compass of the Celestial Directions 1 – The Blessed Isle (Exalted) (2006), Pandora’s Book (Promethean: The Created) (2006), Strange Alchemies (Promethean: The Created) (2006), Magnum Opus (Promethean: The Created) (2007), Saturnine Nights (Promethean: The Created) (2007), Scion: Demigod (Scion) (2007), Changeling: The Lost (2007), The Free Council (Mage: The Awakening) (2007), The Mysterium (Mage: The Awakening) (2007), Reliquary (World of Darkness) (2007), Autumn Nightmares (”Changeling: The Lost) (2007), Witch Finders (Hunter: The Vigil) (2008), Hunter: The Vigil (2008), The Silver Ladder (Mage: The Awakening) (2008), Lords of Summer (Changeling: The Lost) (2008), Midnight Roads (World of Darkness) (2008), Rites of Spring (Changeling: The Lost)(2008), Scion: God (Scion)(2008), Innocents (World of Darkness)(2008), The Rose-Bride’s Plight (Changeling: The Lost) (2008), The Selfish Succubus (Instant Antagonists) (2009), Dancers in the Dusk (Changeling: The Lost) (2009), Swords at Dawn (Changeling: The Lost) (2009), Slashers (Hunter: The Vigil) (2009), Collection of Horrors: No Escape (Hunter: The Vigil)(2009), Geist: The Sin-Eaters (2009), Nosferatu – The Beast That Hunts The Blood (Vampire: The Requiem) (2009), Personae – Ready Made Characters (Changeling: The Lost) (2009), City in the Sand (Mind’s Eye Theater – Vampire: The Requiem) (2010), Goblin Markets (Changeling: The Lost) (2010), Supernatural Adventures (2010), The Fear-Maker’s Promise Compendium (2011). 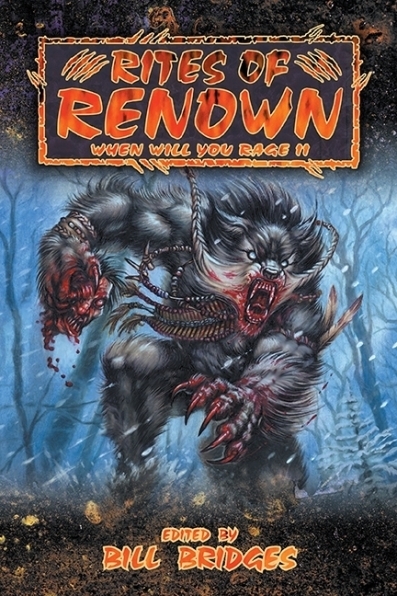 As well as the editor for several projects from Steampower Publishing and Rogue Games like Reliquary (World of Darkness for White Wolf Publishing – Developer) (2008), The Future Soldier’s Battlefield Handbook for Steampower Publishing – Editor (2007) and The Lemurian Candidate for Steampower Publishing – Editor (2006). 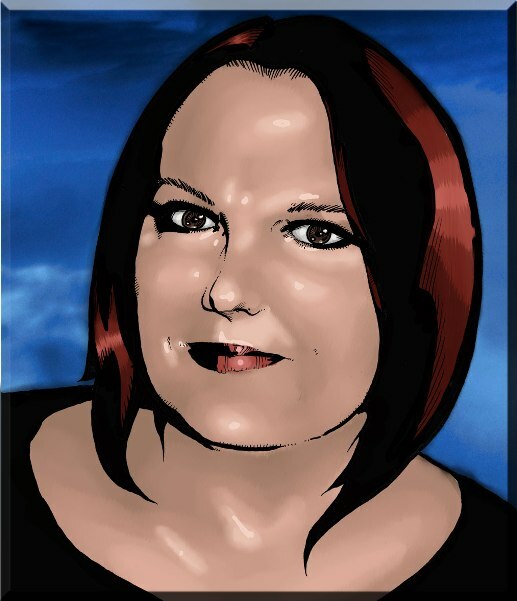 Jess is one of the biggest writers in roleplaying games. Favorite roleplaying club: Currently – Dystopia Rising, a post-apocalyptic zombie LARP (live action role-playing game). 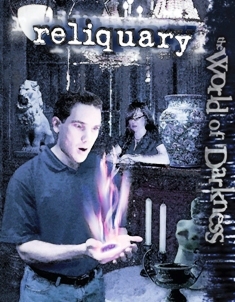 I’ve been a member of several variations of World of Darkness LARPs in the past as well, and enjoyed them immensely. Favorite book: Too hard to choose just one, even in a single genre. I’m a huge fan of classic fairytales and folklore. If I had to name a couple of my favorites, Deeds of Paksenarrion by Elizabeth Moon, or The Fox Woman by Kij Johnson are in my top 100 or so, as are the Dresden Files books by Jim Butcher. Favorite role-playing game: It all depends on who is playing and running it! 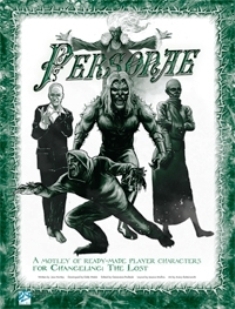 The people make the game, although I am fond of certain themes (supernatural, super-power, gothic horror, struggling against overwhelming odds, magic, urban fantasy, etc). Favorite boardgame: We have well over 100 in our collection, so choosing one is again, a challenge. I’m currently having a lot of fun with Red Dragon Inn, Tsuro, and Escape, when I can find the right people to play with. I prefer shorter games, where folks can trade in and out, rather than 8-hour marathons that lock people in all evening. Favorite wargame: I haven’t played enough to really have a favorite. Juegos y Dados – Welcome Jess, thank you so much for your collaboration. It is an enormous pleasure that you are here with us. Jess – My pleasure! I’m sorry it’s taken me so long to get back to you – it’s been kind of crazy around here of late! Juegos y Dados – How did you begin in the world of role-playing games and what was the first role-playing game that you played? Jess – Well, I think most of us learn the basics of roleplaying games in our early childhood – they’re just not formalized in the same sense as we later adopt. (Adults need our rules, as kids we’re happy to improvise as we go along!) I’ve always been a big fan of pretend-play. Even as a child, I was a bit weird, though. I always wanted to play the witch or the family’s maid, or the school teacher rather than the princess, wife, or cowboys and Indians! Hurray for thinking outside of the box! As far as published roleplaying games, I first learned the red box Dungeons & Dragons that was being sold at big mega-toy stores in the late 1980s. After that, thanks to a gaming group that loved playing new things, I tried everything from Gurps to Aftermath, in rapid succession. Juegos y Dados – What and how was the first role-playing game that you created? Jess – I’m more of a team-partner than an original creator. I’ve worked on a broad variety, beginning with Exalted, and covering most of the New and Classic World of Darkness lines, along with a smattering of other projects. Most recently, I’ve been working with John Wick Presents on the new 7th Sea game system. Juegos y Dados – How did you get involved in White Wolf Publishing? Jess – Well, I had the good fortune to be able to stay home with my youngest daughter, until she was ready to go off to school. When she did, I realized I was going to have to find a way to keep myself busy while she was gone, but I still wanted to be around before and after class for her, which isn’t often possible with a traditional job. So, I looked around at what I had the talent for that could be done from home. Writing seemed more interesting than selling Tupperware or stuffing envelopes, so I spent a year or two writing anything I could get paid for, building up my professional resume. I wrote greeting card text, little articles on our state flowers for free newspapers and an ongoing series of word-quizzes for Renaissance Magazine. I discovered that I really enjoyed writing, but didn’t enjoy the submission process, so I decided (not knowing any better) that it would be a lot easier to just write novels – I mean, heck, I’d only have to submit one or two of those a year, right? Little did I know, back then, how challenging writing (and selling) novels can be! But I didn’t know, so I just came up with some ideas, and since I was playing a lot of World of Darkness games right then, I pitched a novel-series to White Wolf. They couldn’t use it; it was for the “old” World of Darkness, and they were in plans for the “new” version, but that wasn’t public yet. But they liked my writing style and my ideas, so they said they’d keep my name in mind for future projects. A month or two later, I got asked to submit a novel outline for their Exalted game world, which I was utterly unfamiliar with at the time. But, again, I didn’t know enough to be daunted by the idea, so I researched all I could on the game system, came up with an idea that fit well in the game world, and (to my surprise) they loved it. That book turned out to be In Northern Twilight, an Exalted novel, and my first RPG project. Juegos y Dados – How did you get involved in CCP North America? Juegos y Dados – How did you get involved in Margaret Weis Productions? Jess – I’ve only had the pleasure of working on one project for Margaret Weis Productions – one of the supplements for the Supernatural RPG, based on the TV series. I was invited to be a part of the project by Cam Banks, who was developing it at the time, after having met him while both of us were acting as guests for gaming conventions. It was really a fun project! Juegos y Dados – You are a fantastic writer of World of Darkness. What was your best source of inspiration for writing your Vampires books? Jess – You are too kind! I love drawing off of both traditional vampire/undead folklore (where vampires and other undead are monstrous, ghoulish creatures barely capable of thought) and more “modern” (Stoker-esque Victorian) tales which present a more elegant, high-brow vamp. Luckily, both the Old and New World of Darkness Vampire games are broad enough to allow both visions to exist side by side. Juegos y Dados –What was your best source of inspiration for writing your Promethean books? Jess –Honestly, the Promethean supplements I worked on were such an amazing experience, for the most part due to the amazing team. Matthew McFarland was our developer, and under him, Joseph Carriker, Wood Ingham and I were able to work on the initial supplements as a group. We knew what all four were going to cover, so we were able to avoid inconsistencies and collaborate more than usually happens on supplement books. We even called ourselves Team Frankenstein – it was a wonderful experience. Juegos y Dados – You was author or contributor of the most famous RPG, and their supplements, of the history. What do you think about so people with a copy in their homes? Juegos y Dados – What do you think the RPG industry nowadays? Jess – I think that there’s been a real opportunity over the last 5 years or so, through Kickstarter and other crowd-funding. Not only has it allowed major companies like Onyx Path to more accurately gauge interest in a game concept (and supplementary products), but it has given independent creators the opportunity to get works out to the public that might never have otherwise seen the light of day. It’s a great time to be involved in the gaming industry. Juegos y Dados – How often do you play games? Which ones? Jess – I play board games on a monthly basis (probably a couple of nights a month), and LARP at least once a month as well. We host game playing days at our house frequently, and I love going to game at conventions as well. If you count electronic gaming, it’s a daily occurrence! Juegos y Dados – What is your favorite character of World of Darkness? Jess – Oh, I don’t think I could pick just one! 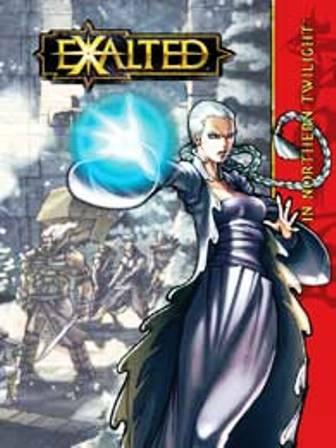 I do admit, however, I have a soft spot for Brianna Highland, a Garou Fianna kinfolk character I played for years in our local werewolf LARP and who was actually the subject of the first novel “pitch” I made to White Wolf back in the early 2000s. Almost a decade, and 50-some projects later, I was able to immortalize her (albeit in a brief way) in an anthology of Werewolf: The Apocalypse short stories. The collection is “When Will You Rage II”, and the story is “Not That Kind of Kin”. It was awesome to be able to put Brianna into canon at last; kind of made me feel like I’d come full-circle. Juegos y Dados – Do you think writing any new role-playing game in the future? Could give us any details? Jess – I just finished up working on a team that is creating a project for John Wick Presents, for 7th Sea. I got to write about Vestenmennavenjar, the 7th Sea equivalent of Vikings, which is a topic near and dear to my heart! I can’t wait to see it in print! Jess – Thank you. Just… thank you. For playing our games, for supporting our companies, for reading our stories, for adding the magic element that brings a game to life. None of this would mean anything if it wasn’t for all of you. Thank you. Juegos y Dados – Thank you so much for your time. We are very happy for your collaboration in this interview with Juegos y Dados. Jess – My pleasure! Thanks for having me!